A type of grass turf that is excellent in warmer climates, and grows thick, making it comfortable to walk on and resistant to weeds. Zoysia grows slowly when it is hot, meaning it needs to be mowed less often than other grasses, and also requires less water. It is also able to repair damaged areas quickly because of its growth pattern. 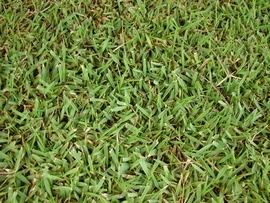 The cost of zoysia sod ranges from $0.40 per sq. ft. for the basic grade, to $0.59 per sq. ft. for the top quality.